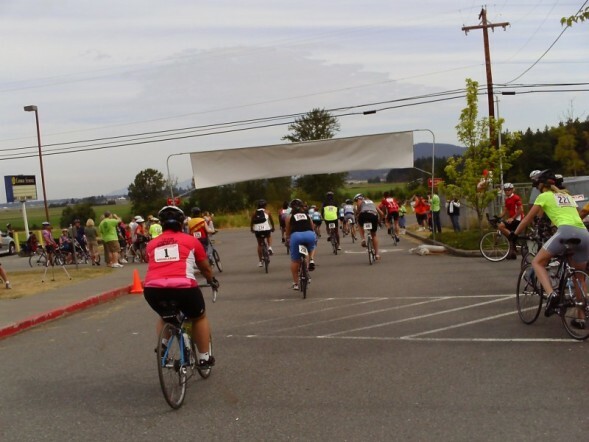 It's about that time of year again: The ALS DoubleDay Bike Ride is coming up in a few months and registration is officially open! Mo's Biker Beauties have participated and partied at the event for the last two years now, and we'd LOVE to have your support to make this year's DoubleDay Ride the most successful yet. Last year, the event raised over $159,000 for the cause, which was a new record. We think that with the support of friends and family, as well as some corporate sponsorship, our team can help to burry that old record and set our sites even higher. The ride will be July 24th and 25th, so there's plenty of time to prep. If you're thinking you're not the type for cycling, it's really not that tough! And there's no easier or more enjoyable way to get your summer body back than to get out on a bike and take in some of the amazing scenery we have here in the Northwest. Thanks, hope to see your names on the team list soon! That's right...Ring Around The Needle is back! Save August 28th for a day of heart felt debauchery. Remember to check out www.ringaroundtheneedle.com for updates and info. Please email me if you would like to be a captain or official sponsor. I will leave you with some pictures from last years event....enjoy!